LaVera G. Gehron, 97, of Williamsport, died Sunday, August 26, 2018, at the Williamsport Home. She was preceded in death by her husband of 69 years, A. William Gehron on Aug. 11, 2018. 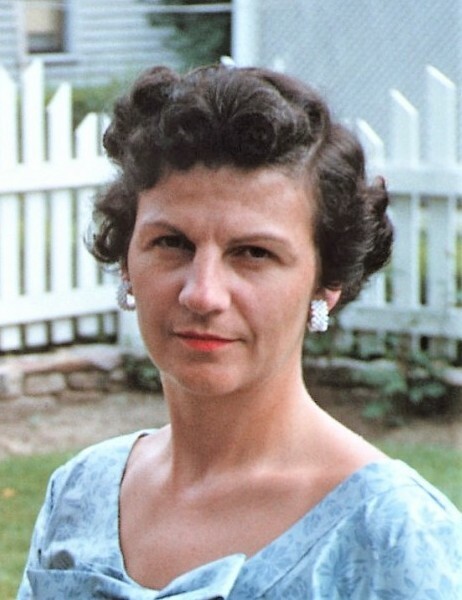 Born Aug. 9, 1921, in Bloomsburg she was a daughter of the late Harry E. and Alta B. (Applegate) Mordan. LaVera was a 1939 graduate of Williamsport High School and was of the Baptist faith. She was a homemaker and assisted her husband as president and vice president of the Jacob Gehron Company, Inc. and the G.C. Corporation for many years. LaVera was an avid American history buff and animal lover. She enjoyed family trips to Boston and New England as well as Washington D.C. She also especially enjoyed traveling to Europe with her husband Bill, where they visited France, Germany, Hungary and Greece together once they became empty-nesters. Surviving are a son, Barry W. (Jane) Gehron, of Wakefield, Mass. ; two grandchildren, Craig (Ronni) Gehron and Kate (Jonathan) Cooper; and four great-grandchildren, Nicholas, Alexander, Lily and June. In keeping with LaVera's wishes, there will be no services. Memorial contributions in LaVera's name may be made to North Central Sight Services, 2121 Reach Road, Williamsport, PA 17701 or Lycoming Animal Protection Society, 195 Phillips Park Dr., Williamsport, PA 17702.